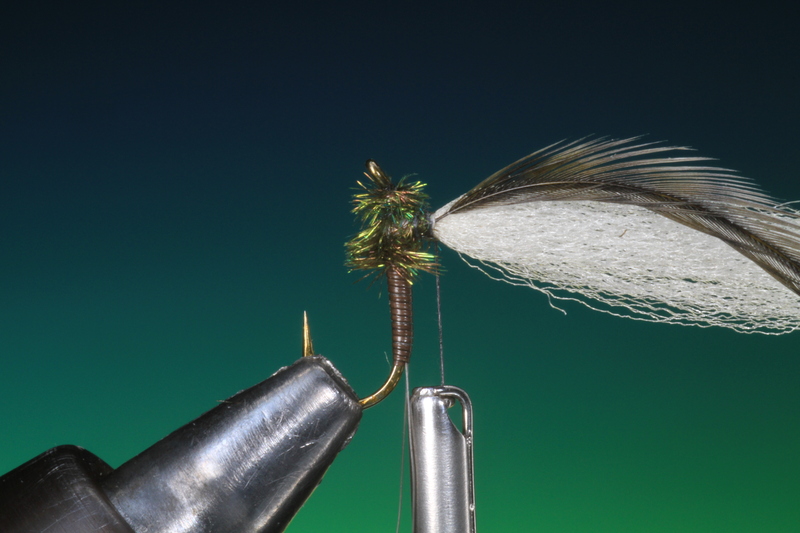 Hi, I am back again with # 15 in the fly tying course, this time its a small mayfly Dun. Where I live in Southern Norway the Claret Dun (Leptophlebia vespertina) and Sepia Dun ( Leptophlebia marginata) are amongst the first and the most common mayflies to hatch. Because of their tolerance of acidic water they are to be found on most forest lakes and ponds along with slow flowing rivers. 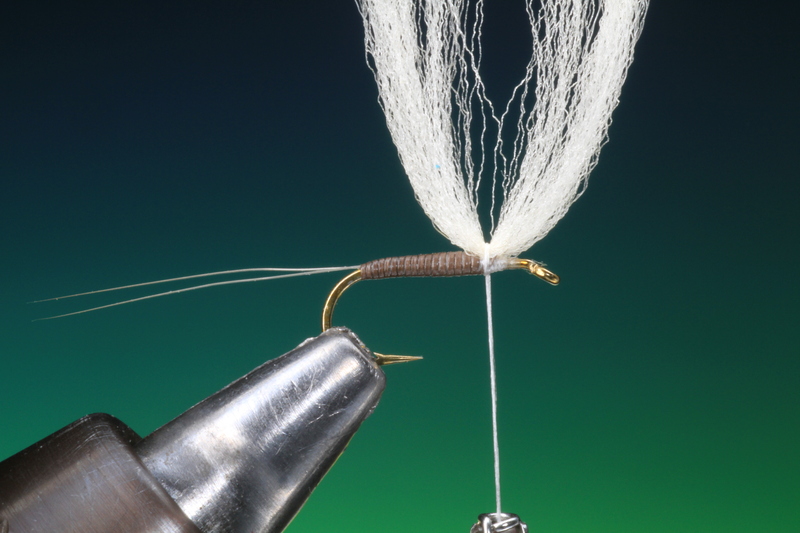 These two mayflies are on the trouts menu from as early as April until the end of July and no Norwegian fly fisherman should be without a good imitation. Because of their similar size, colour and habitat this one pattern covers both. 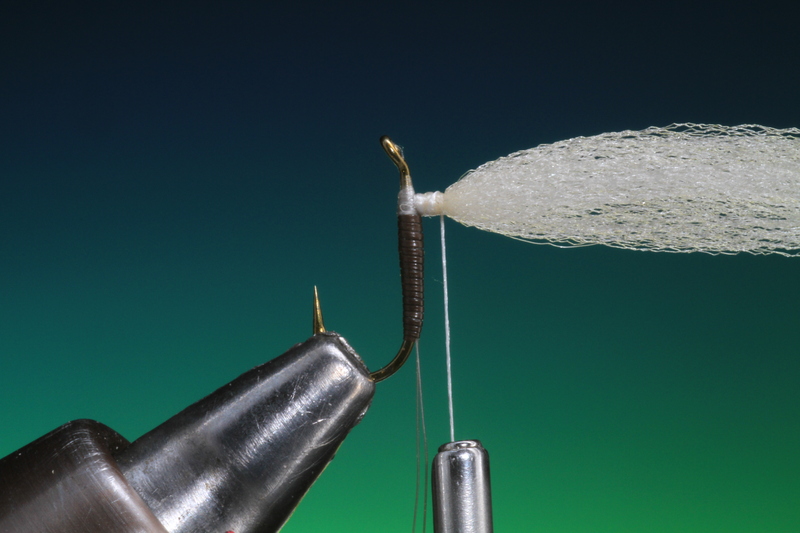 If you are fishing these hatches with this pattern I can guarantee success! 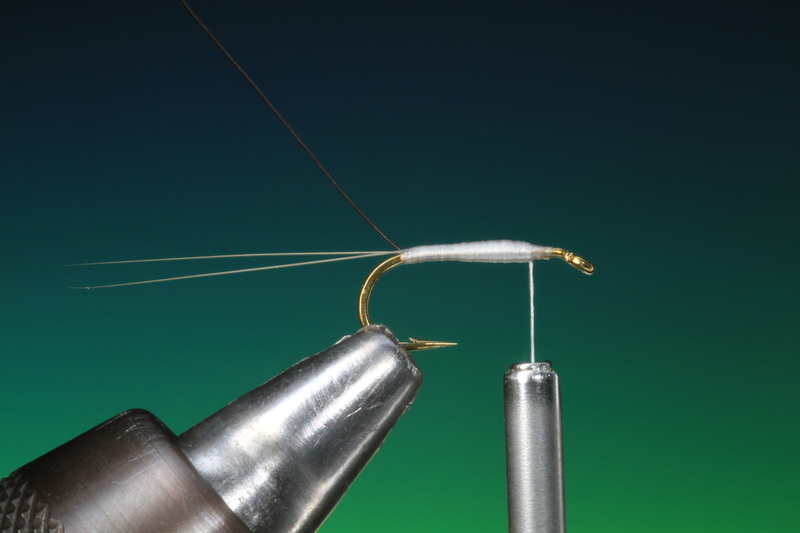 Secure your size 14 dry fly hook in the vice so that the hook shank is horizontal. 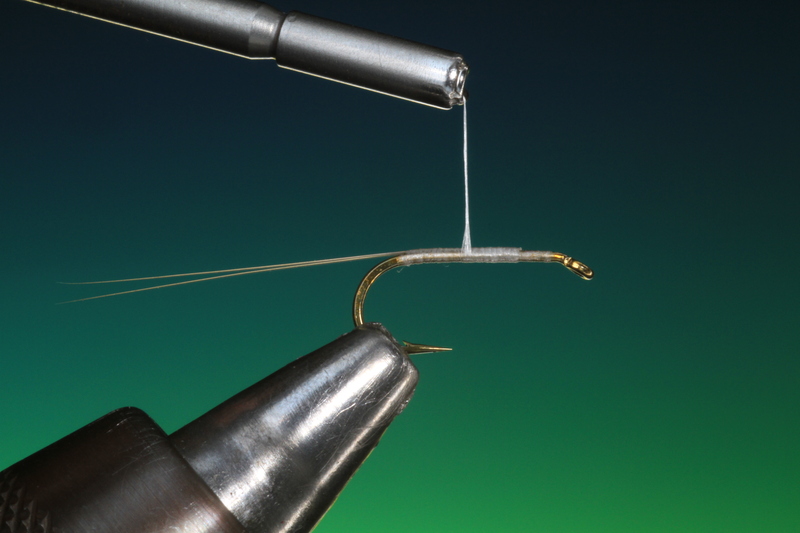 Run your tying thread along the whole length of the hook shank until your thread hangs vertical to the hook barb. Although both Vespertina and Maginata have three tails I only use two long ones. 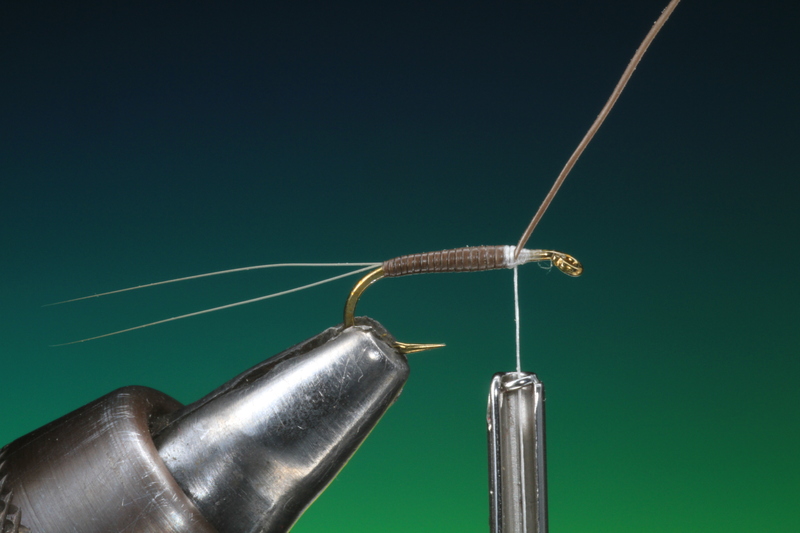 This takes less time to tie, uses less tailing material and trout cant count! But if you feel the need to be more realistic use three. 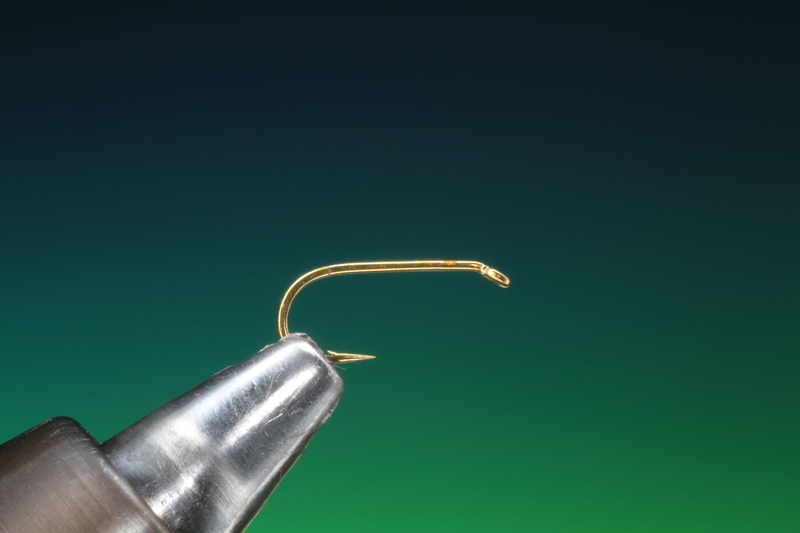 Tie these in on top of the hook shank, this is important! The body of the fly will then rest in the film and not on it. 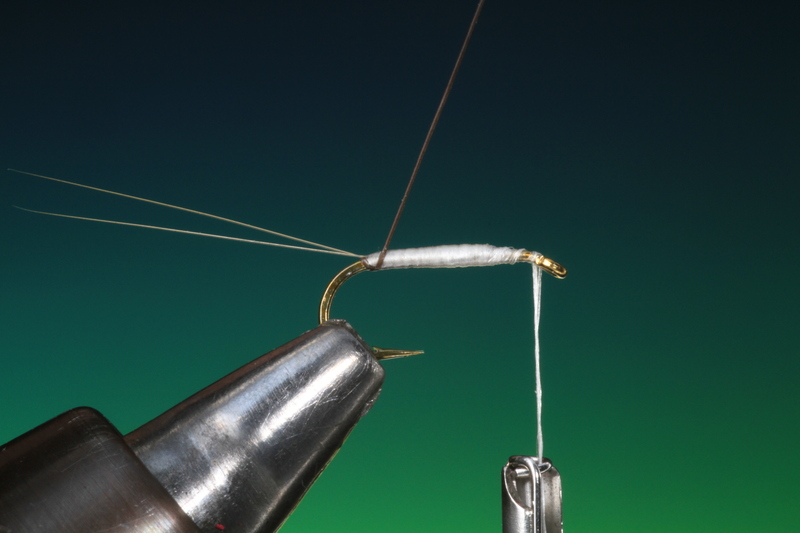 Spin your Dyneema thread clockwise so the fibers open and the thread becomes flat. Using the flat thread cover the whole body and build up a slight taper as shown. Choose a dark, almost black long moose mane hair. The best hair from the moose for this is from the back of the neck. Tie in the moose hair by the point at the tail base. 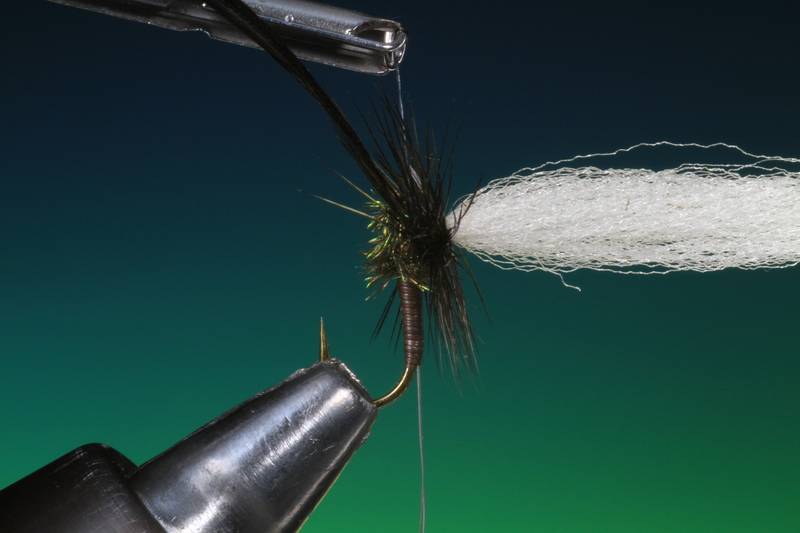 Make the first wrap of moose hair under the two tails. This will support them and keep them high. 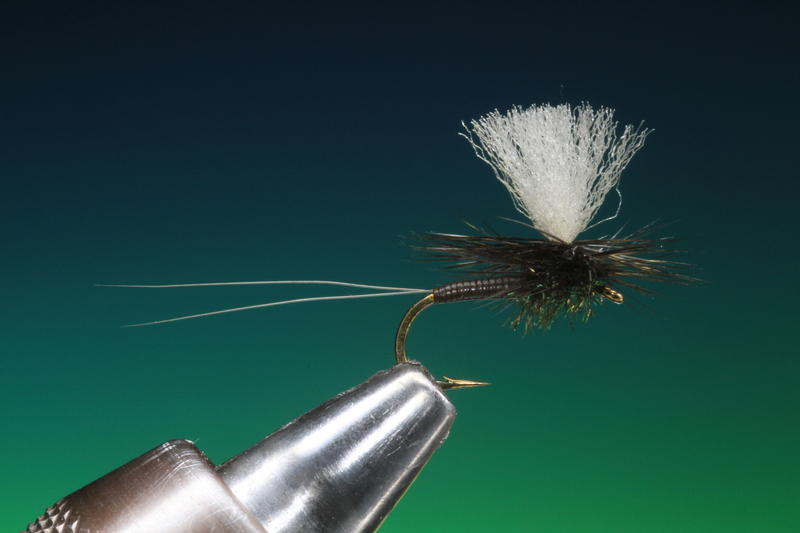 Now, making tight even wraps of moose hair cover the whole rear body of the fly. Tie off. Although moose mane is surprisingly robust if you wish you can give the body a coat with varnish. Cut a short length of Polypropylene yarn for the parachute post and tie in as shown. 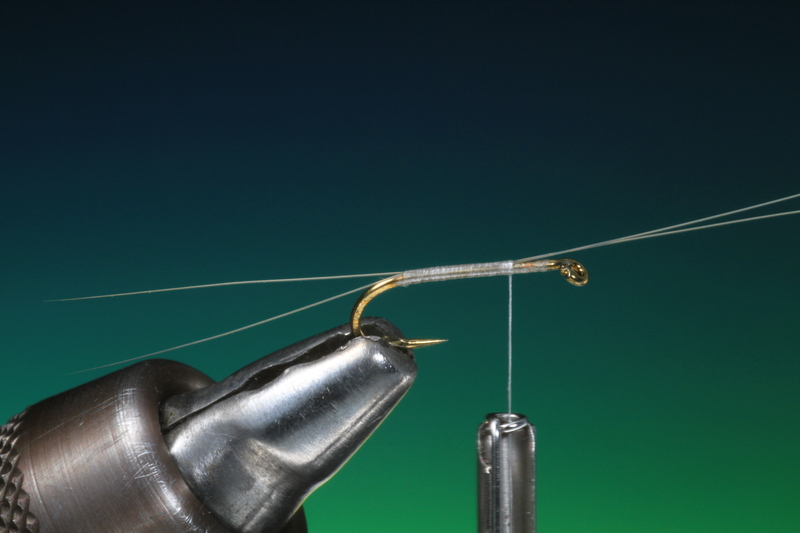 Flip your hook in the vice, or if you have a fully rotational vice, give it a spin and wrap the base of the parachute post 2 or 3 mm up from the hook shank. 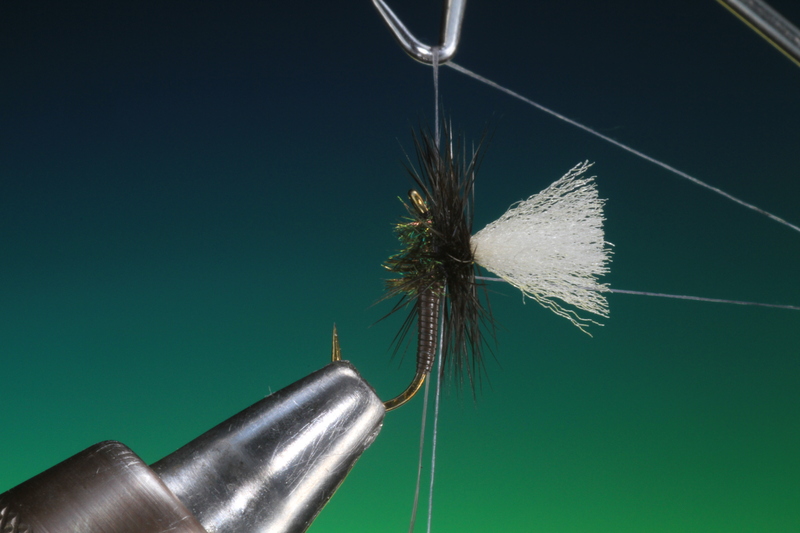 Prepare a black hackle and tie in as shown up the post base ready for wrapping later. 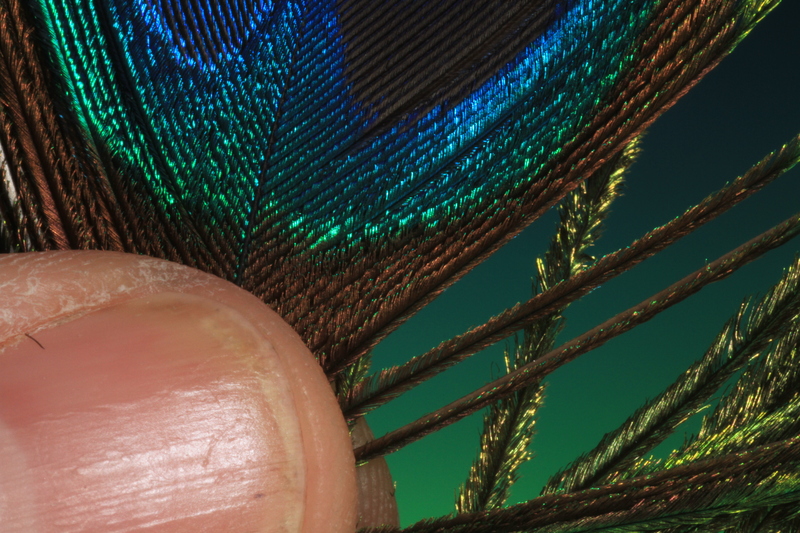 Select a small fibered peacock herl, these are best and the correct size just below the eye on the tail feather. 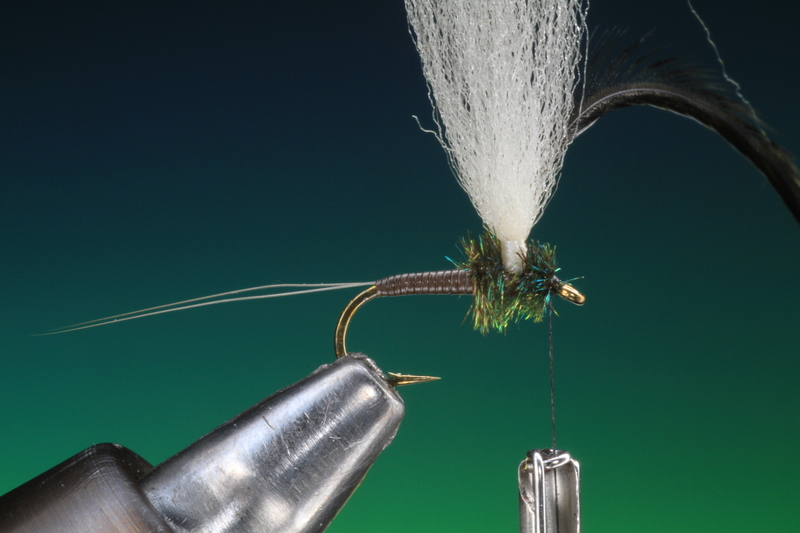 Spin the hook in the vice again and tie in the peacock herl at the rear of the parachute post. 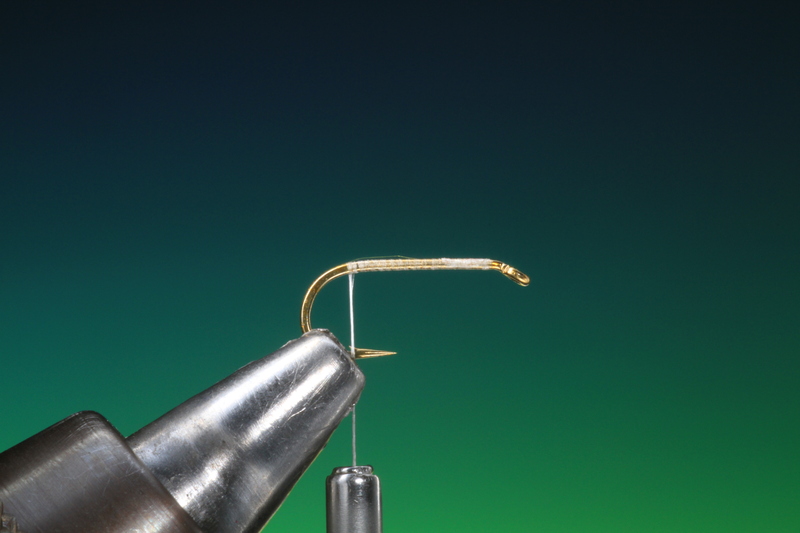 Wrap the herl forward to the hook eye and secure. Colour your Dyneema with a waterproof felt marker and spin the bobbin anti clockwise to twist the fibers together and make the thread smaller. Make one whip finish. Spin your vice again. Wind your thread through the thorax and up the parachute post. 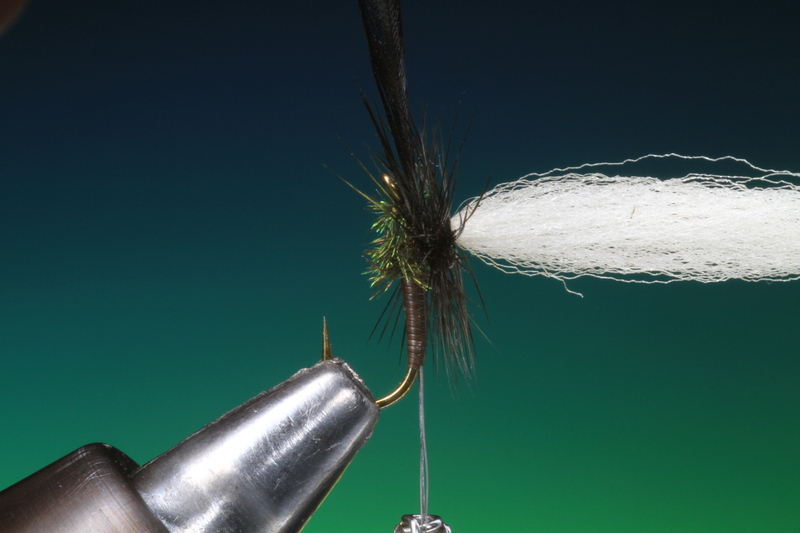 Wind your tying thread to the base of the post and then make a few wraps of hackle, going down towards the thorax with each wrap. 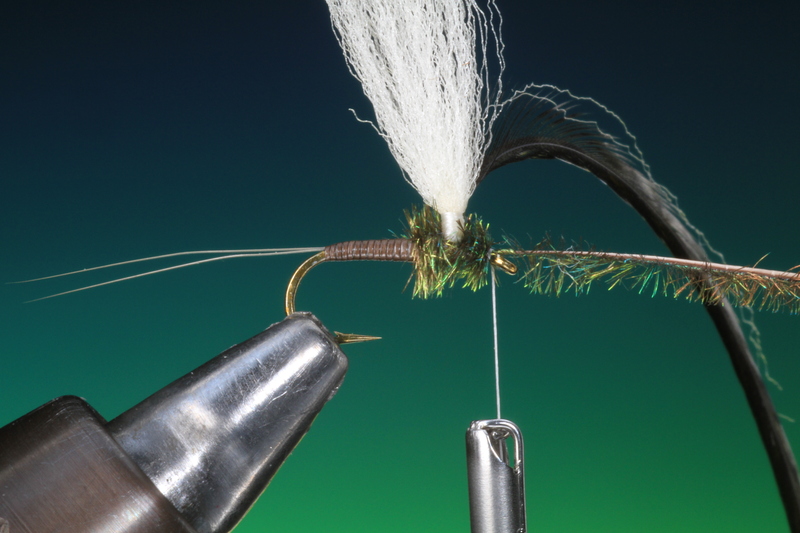 Now make two turns of tying thread one to the left of the excess hackle and then one to the right. 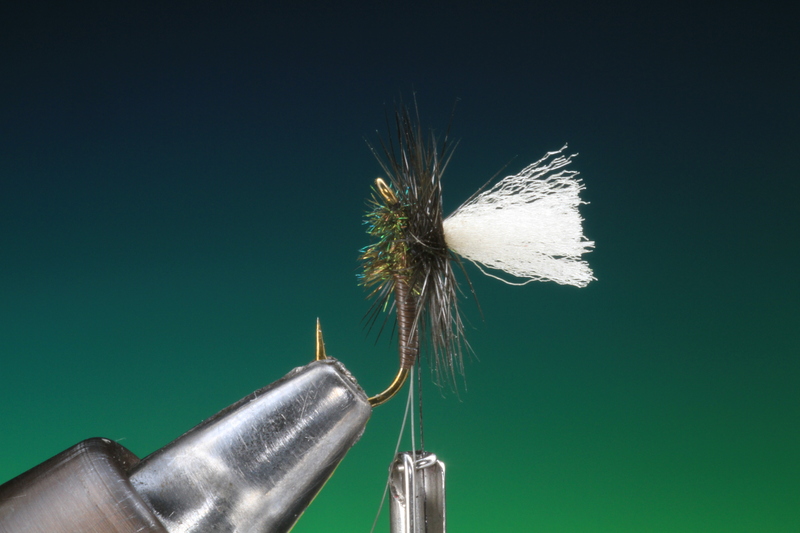 This will hold the hackle securely while you trim off the excess. 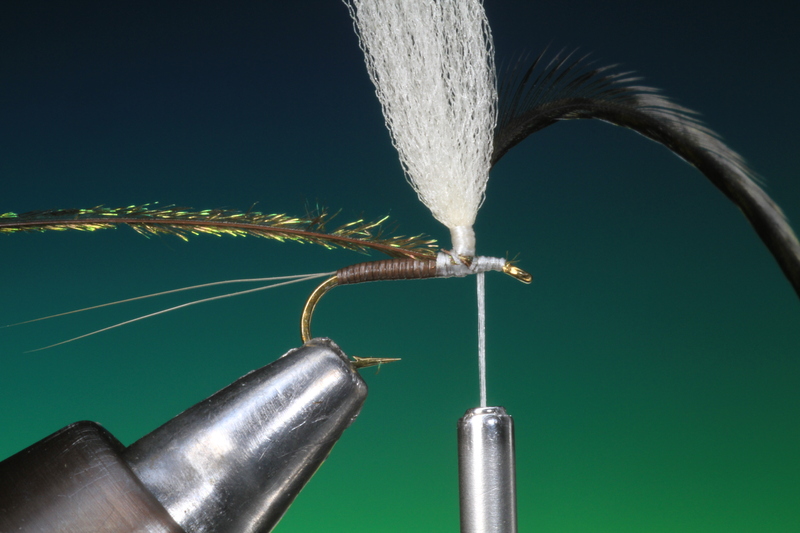 Trim off the excess hackle, taking care not to cut any of the wrapped fibers. 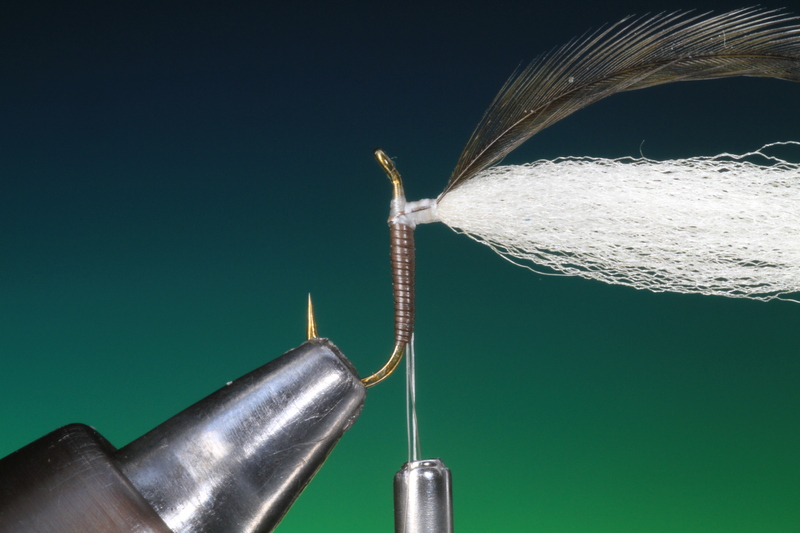 Make a whip finish under the wrapped hackle and around the post. Just before your tighten the whip finish apply a drop of varnish to the tying thread, when you tighten the varnish will slide into place and secure the knot without you getting it everywhere. The finished parachute Leptophlebia that will float deep in the film. This entry was posted on January 8, 2014 by barryoc. 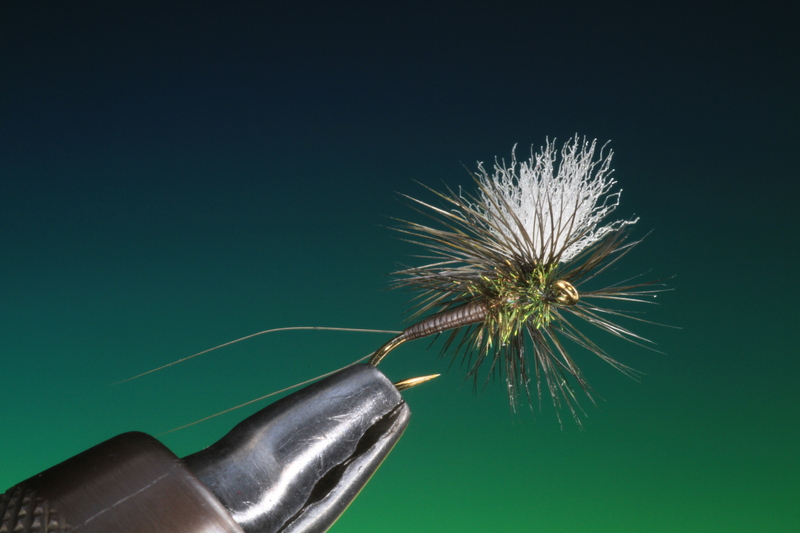 It was filed under Fly Tying, Fly Tying Course, Step by Step .